Get the most out of your shower! It starts with stable water pressure and even temperature that you can rely on. The best way to ensure this at home? 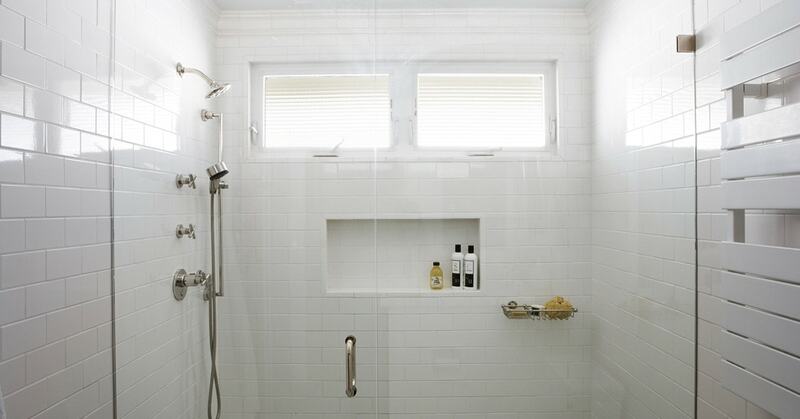 Change the faucets for the bathtub and shower. New faucets will enable you to cut down on your hot water use and by extension, your electricity bill. Take a few hours to invest in the environment, your savings and a better shower experience: it's worth it! 1.1 - Shut off the water supply to the bathroom or the main water supply to the house. 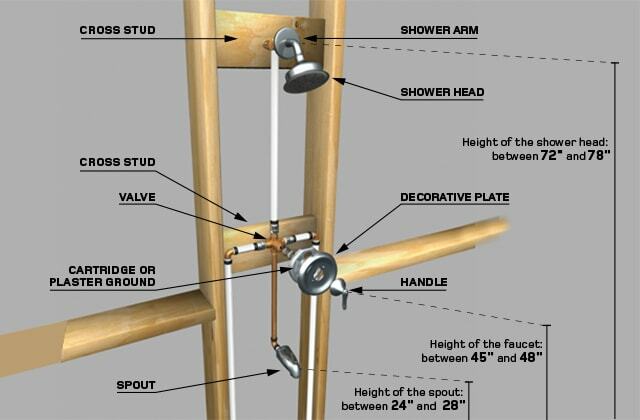 1.2 - Determine the location of the shower head, bathtub and shower, and bathtub spout if required. 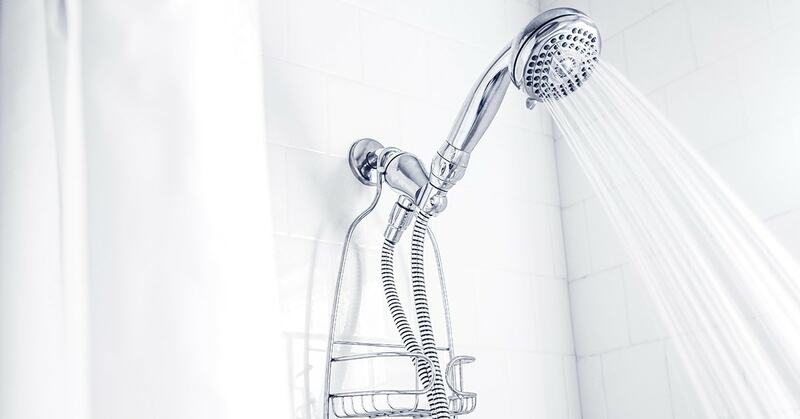 Height of the faucet: 45-48"
Height of the shower head: 72-78"
Height of the spout: 24-28"
1.3 - Install a cross-stud between the two studs at faucet height to install the valve. 1.4 - Install a cross-stud between the two studs at shower-head height to install the drop-ear elbow. 2.1 - Position the valve on the cross-stud so that "UP" is facing the ceiling. 2.2 - Check for level, then screw into the cross-stud. 2.3 - Screw in the pipe adaptors on either side of the valve. 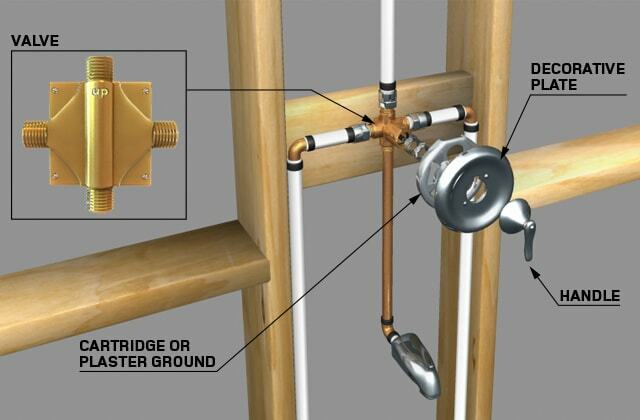 On copper pipes, weld the ½" TPT × ½" adapters directly on each side of the valve. Connect the hot and cold-water supply pipes to the adaptors. 2.4 - Connect the shower column to the top of the valve. 2.5 - Wrap thread sealant tape around the threads of the upper outlet of the drop-ear elbow. 2.6 - Connect the drop-ear elbow to the supply tube of the shower column. 2.7 - Screw the drop-ear elbow to the cross-stud. 2.8 - If a spout has not been installed, wrap thread sealant tape around the threads of the outlet under the valve, and screw on a ½" brass cap to plug the outlet. 2.9 - Connect the bathtub spout to the bottom of the valve. 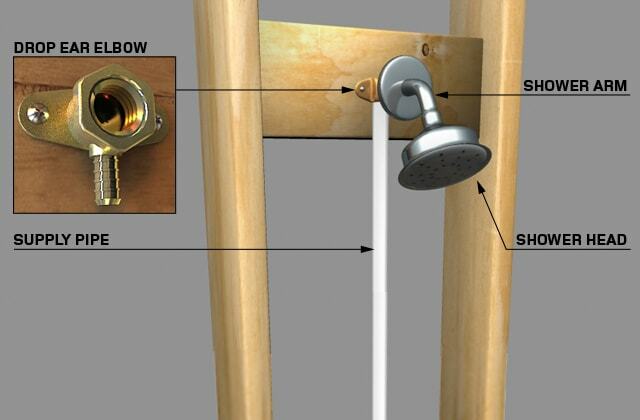 2.10 - Install a 90° elbow toward the tub-shower. 2.11 - Measure the distance from the inside of the elbow to the wall. Measure the distance from the threads on the inside of the spout to the base. Add the two measurements then add ¼". Cut the pipe to the correct length. 2.12 - Apply sealant to the end of the pipe and insert it through the wall, into the elbow. 3.1 - If you are planning to tile the shower, begin by installing a cement board base, followed by your ceramic tiles. 3.2 - Use a hole saw to drill holes for the shower faucet, tub spout (if necessary) and shower head at the correct height. 4.1 - Remove the plastic cover on the valve. 4.2 - Ensure the wall is clean. 4.3 - Put the decorative cover (escutcheon) on the valve. 4.4 - Position the hole(s) in the plate over the hole(s) in the valve and screw in. 4.5 - Screw the handle adaptor on the cartridge and use an Allen key to install the handle. The lever should be pointed downwards when the faucet is turned off. 5.1 - Wrap thread sealant tape around the threads of the shower arm and screw in to the drop-ear elbow. 5.2 - Seal around the hole with silicone sealant and insert the shower valve cover plate. 5.3 - Wrap the end of the shower arm with thread sealant tape. 5.4 - Hand screw the shower head to the shower arm. Do not over-tighten. Tighten the connection ¼ turn with an adjustable wrench. 6.1 - Wrap thread sealant tape around the threads of the pipe. 6.2 - Screw on the tub spout flush with the wall. 6.1 - Slide the spout on the copper pipe so that the setscrew faces upward. 6.2 - Use an Allen key (hex wrench) to gently tighten the set screw. 6.3 - Turn the spout to the "normal" position, while making sure it's well installed against the shower wall. 6.4 - Use the Allen key to tighten the set screw securely. 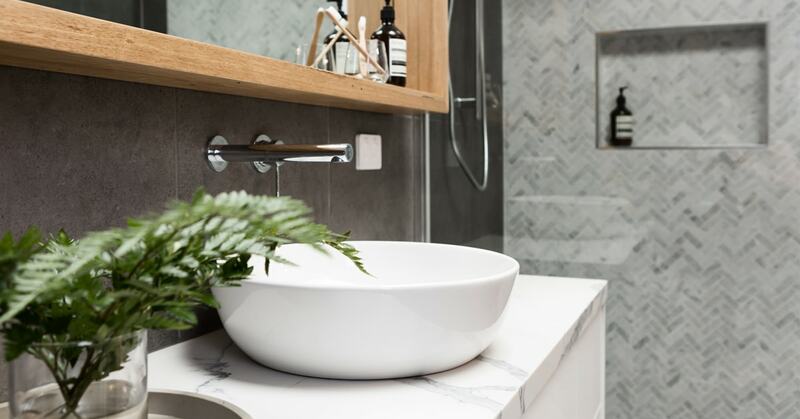 Buying Guide: Renovating the bathroom: where to start?